In 2008, Summit Entertainment became a force to be reckoned with thanks to the release of Twilight. With this newfound success, they decided to head into the then-burgeoning superhero genre and started filming a movie for a February 2009 release entitled Push. This idea was initially reported online as a stripped-down sci-fi thriller, with the superhero aspect only coming to the fore a few weeks prior to the release. Bringing in then-future Captain America Chris Evans and noted child actor Dakota Fanning in what critics declared was to be a more “adult” (i.e., drinking) leading role, the idea was simple: strip away the larger-than-life powers and have it be a grounded take on the superhero genre, the latter aspect being something that they should have promoted from the beginning. Unfortunately for the David-Bourla-scripted film (who claimed he got the idea from a shady person he had dated years ago), that was the problem. The creatives behind Push continually talked up how real the movie was. Looking back at those interviews with the cast from ten years ago, it’s easy to see how they were all reaching for truisms about a project that simply didn’t work. Despite this, I was hoping for the best, in large part because of Paul McGuigan, best known at that time for Lucky Number Slevin. This was one of the first times I had been aware of a filmmaker‘s previous credits, so I went into Push with a certain amount of added expectation. McGuigan had never directed a sci-fi film before, and with crime and sci-fi being my favorite genres, I was excited to see him make the transition. This was a big opportunity for the director, with an interesting conceit behind the project. The power sets were stripped back to the very basic fundamentals: Movers (telekinetics) Trackers, Watchers (people who can see the future), Sniffers, and, of course, Pushers, who manipulate people’s minds. Granted doing a superhero movie like this would often translate to cheap. Cheap it was, but necessity is often the mother of creativity. Unfortunately, that necessity didn’t help to the narrative itself. When Push came out, the X-Men film series and the television show Heroes were arguably at the height of their popularity. With their success from Twilight, Summit felt that they could now enter that genre and one day be on the same level as those properties. Upon release, reviewers merely wrote it off as a cheap knock-off of those two properties, especially X-Men. Frankly, it’s difficult to disagree with those sentiments. Push opens with a man protecting his son Nick – a Mover – from your standard evil government organization called the Division. There was some potential here; indeed, there was even a prequel comic that expanded on the mythology of the Division under the pen of Kevin Smith’s partner in crime Marc Bernardin. A movie must stand on its own, however, and Push simply doesn’t. 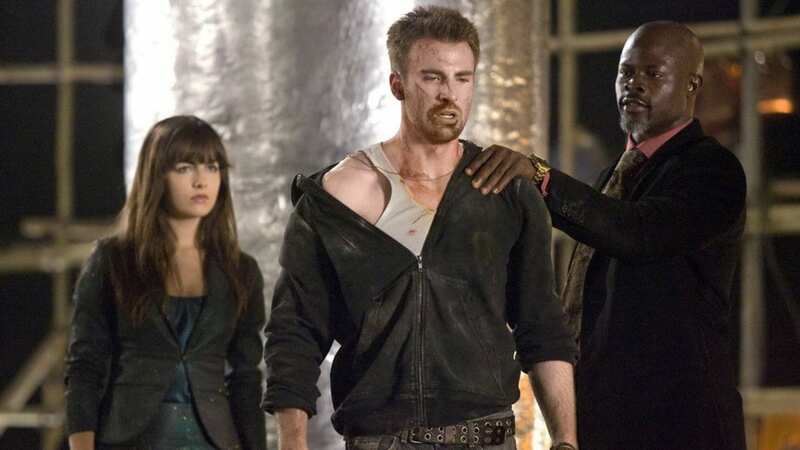 Great actors such as Neil Jackson from the criminally underrated Blade: The Series and Academy Award winner Djimon Hounsou were playing the villains; actors of this caliber should’ve been able to elevate these mundane bad guys, but they weren’t given enough of a story in which to do so. To compound the movie’s troubles, the creative auspices committed the worst atrocity those behind any franchise play film can: leave it open for a sequel that a) will never happen, and b) sounds marginally better than the movie we’re watching. I say marginally because, to bring back the Heroes comparison, the Push sequel they were teeing up felt like a below average episode of Heroes in that the parent had powers the government wanted to exploit and the kid had to use their powers to help them. Granted, it would’ve been nice to see Ms. Fanning continue to play this role and grow as an artist, but when you’re presenting a paper thin-plot in the first film of your latest franchise hopeful, you’re gonna be DOA. One of my biggest pet peeves is when a movie doesn’t try. Push comes off as lazy, trying to coast on its much better progenitors. The moviegoing audience only wants to be entertained, but when somebody can just turn on the TV every week or pop in their copy of X-Men, you need to present something that is worth going out to the theaters to see. People often use that argument today in the age of Netflix, but it also rang true ten years ago. I suppose the thing that makes me angriest is that it wasn’t some disagreement that sabotaged Push, but the fact that filmmakers didn’t have enough bandwidth to bring this movie to its full potential. Yes, there’s a really cool battle between Evans and Jackson, but there could have been so much more. It appears Summit agreed because they partnered with a company called E1 for a television adaptation of the film. The showrunner involved: X-Men screenwriter and Solid Snake himself David Hayter. Had the show gone forward, this could have been a fairy tale ending akin to Buffy the Vampire Slayer: the movie may not have worked out, but the TV show went on to have a long and successful run. Alas, it was not meant to be, and Push the series never made it past the development stage. The one silver lining in this is the fact that all the creatives have bounced back from this film in big ways, most obviously Evans with the MCU. McGuigan directed several episodes of the acclaimed BBC drama Sherlock. While this may be a long shot, I sincerely hope he gets another chance to helm a genre piece again. Perhaps the opportunity will present itself on the Sherlock creators’ new horror show Dracula. Push is a movie that ultimately fails. Despite an interesting premise and fantastic actors, it can’t seem to rise above a paint-by-numbers narrative that appears to be content living in the shadows of its contemporaries. I remain hopeful that one day Summit will dust off this concept and bring it to its full potential.